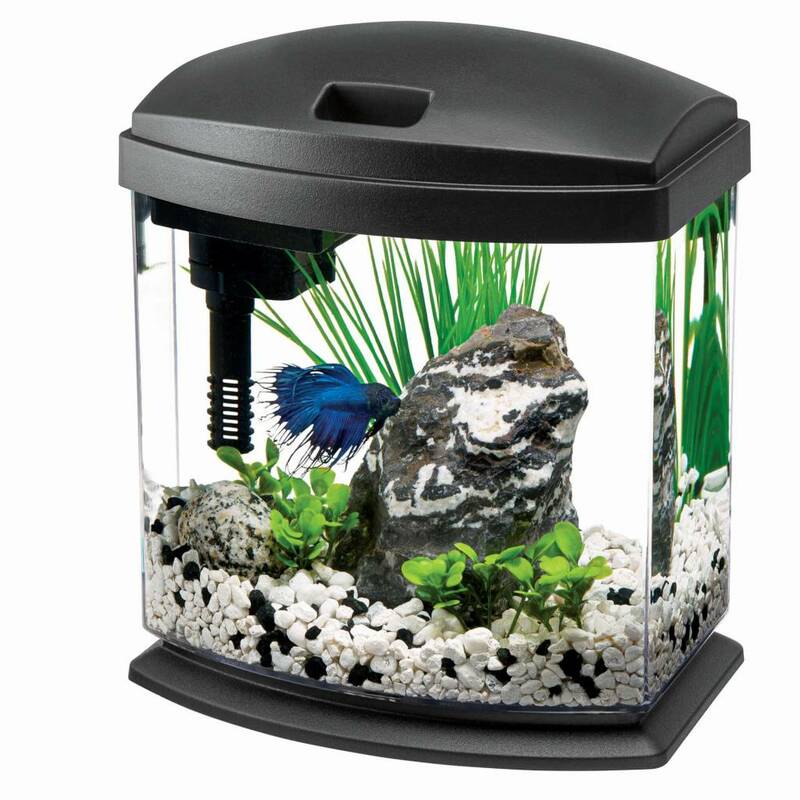 The MiniBow aquarium has been redesigned to incorporate a low-profile hood with energy-saving LED lighting. Each kit still comes with the familiar bow-front vessel and powerful filtration, but the added base provides a contemporary flair to the reliable design. Uses Aqueon QuietFlow Filtration; cartridge, food and water care samples are inside! 8.5" x 6.25" x 9.25"